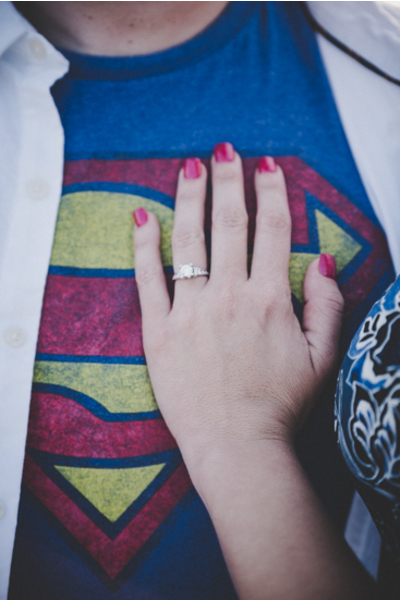 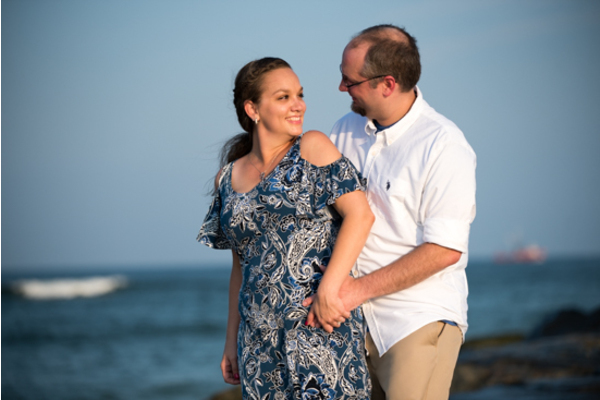 Congratulations to Paula and Robert on their incredible engagement! 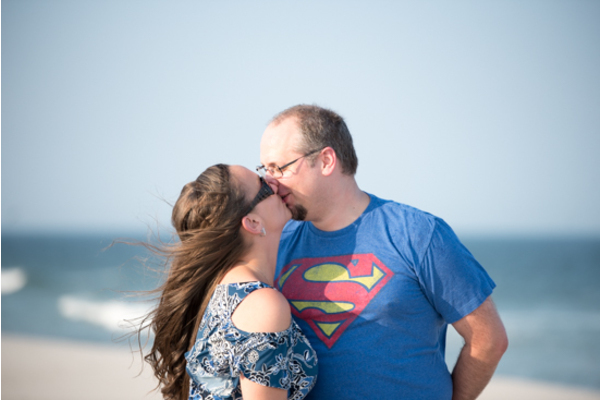 They are set to tie the knot next spring at The Palace at Blackwood. 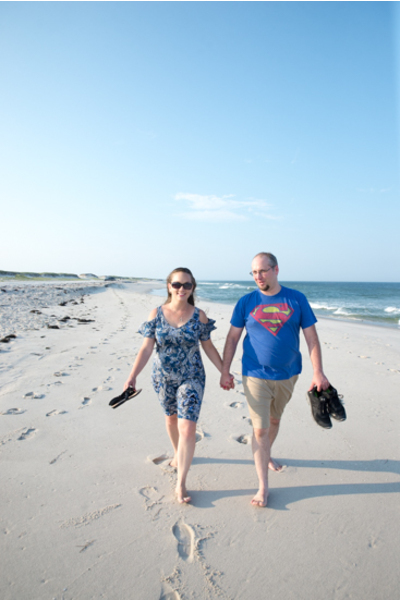 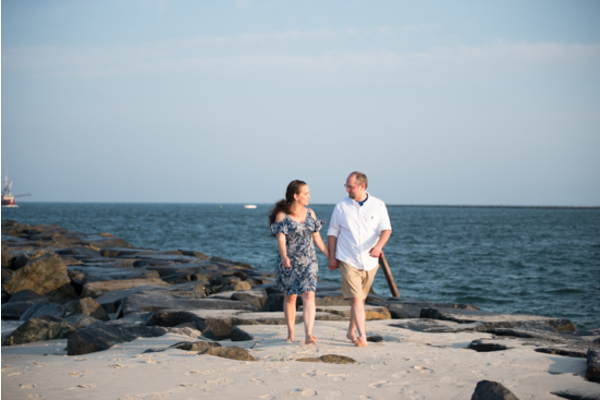 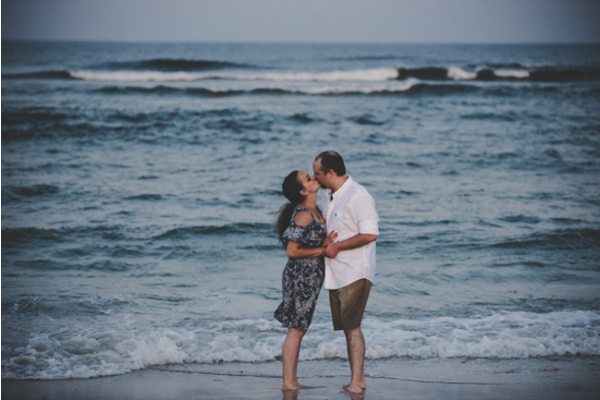 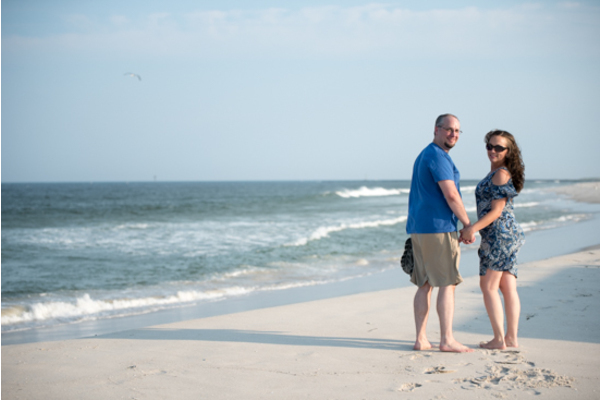 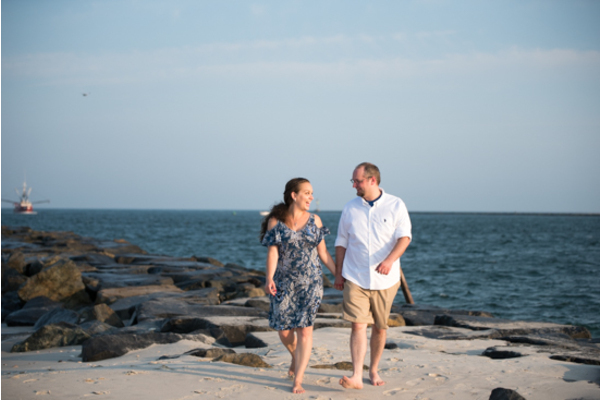 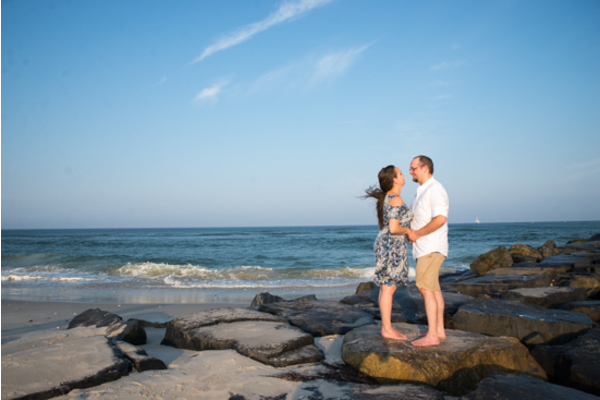 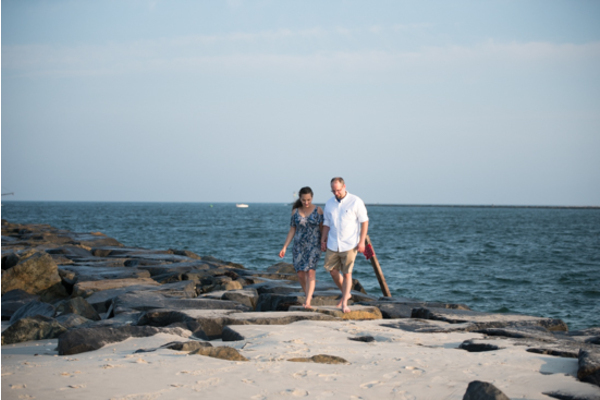 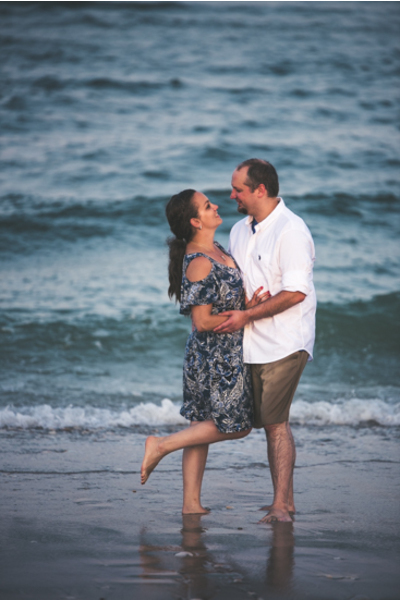 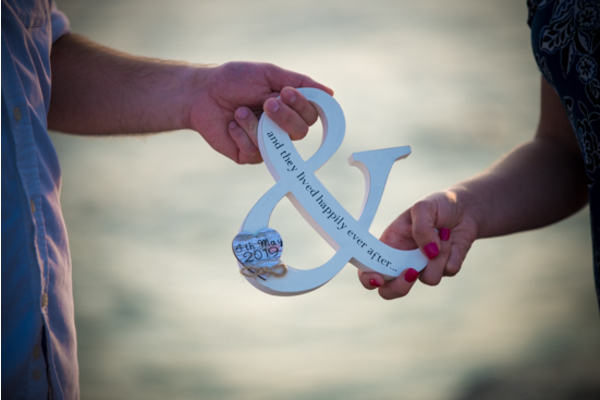 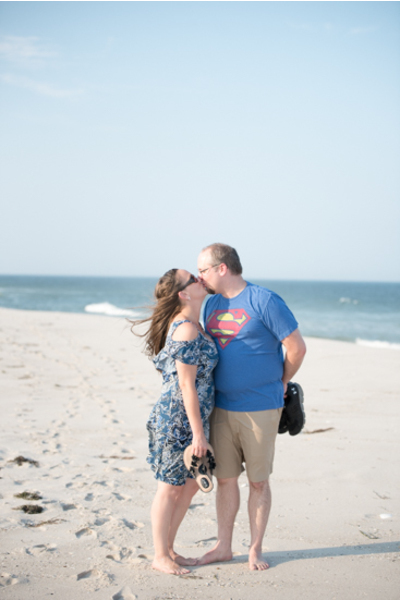 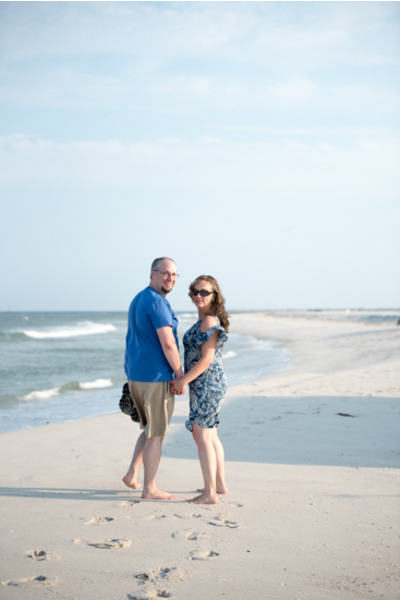 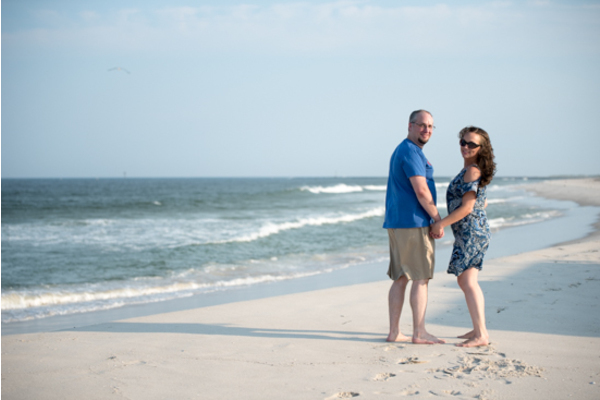 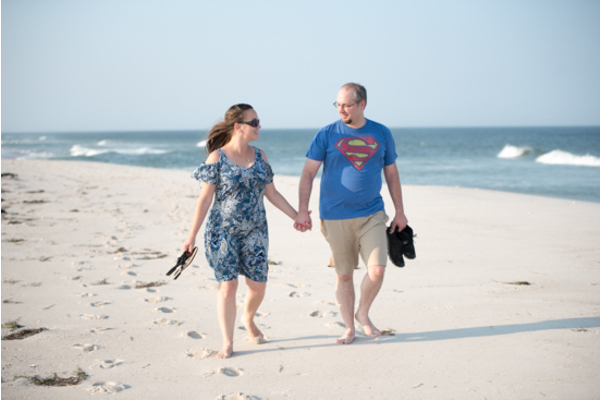 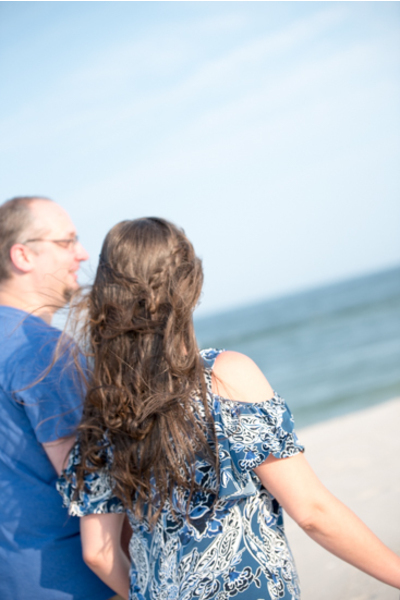 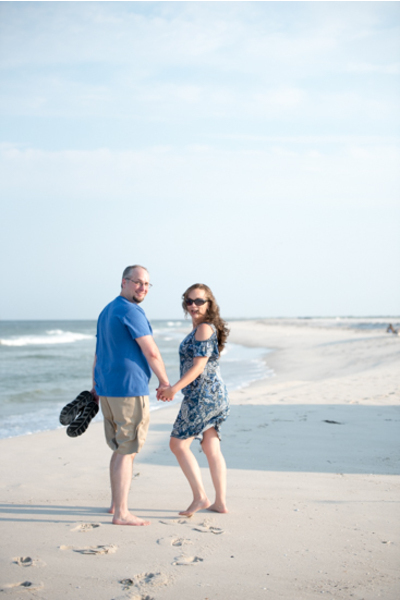 Above all, this gorgeous beach engagement was filled with sandy toes and salty kisses! 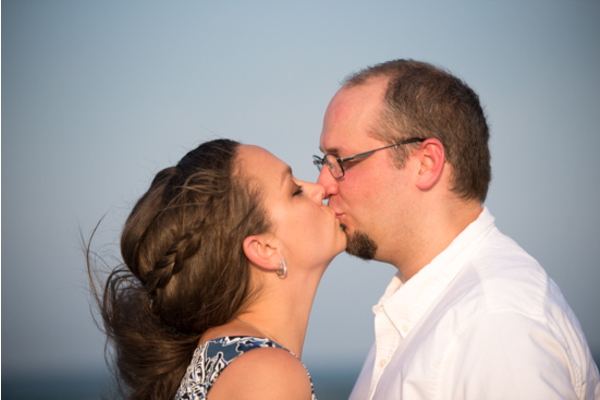 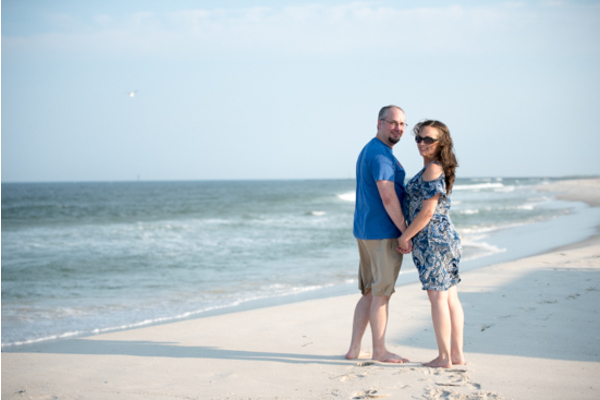 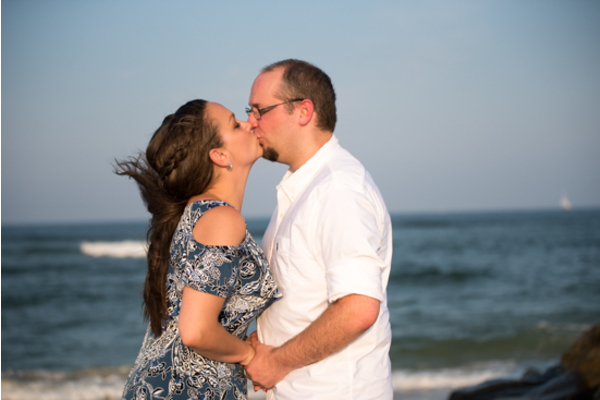 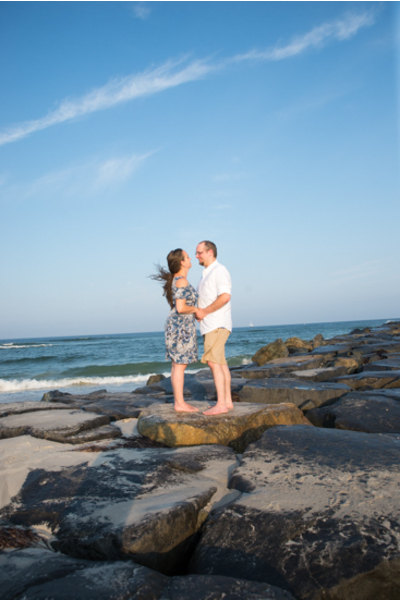 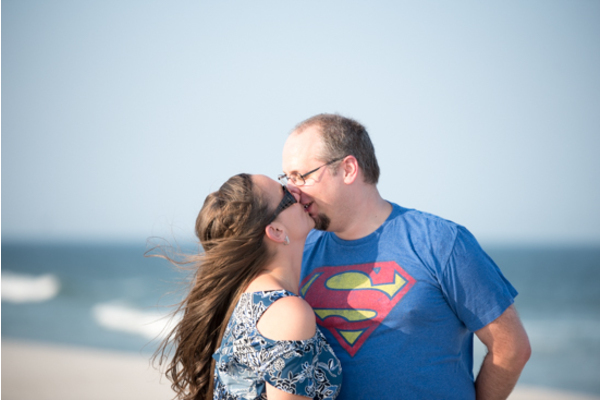 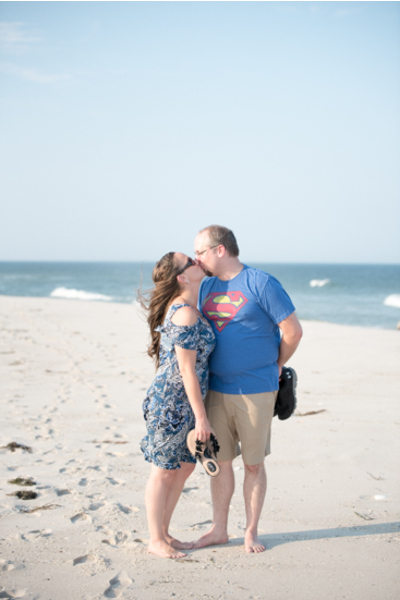 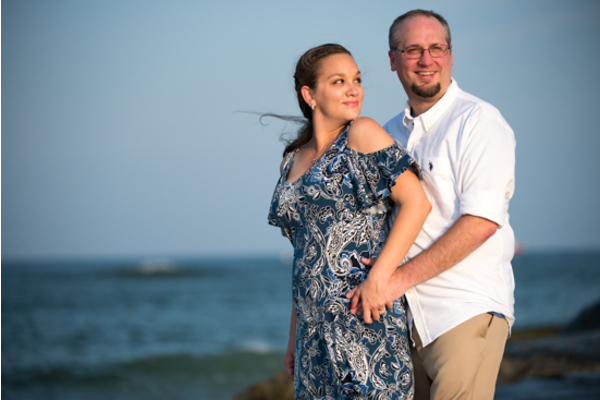 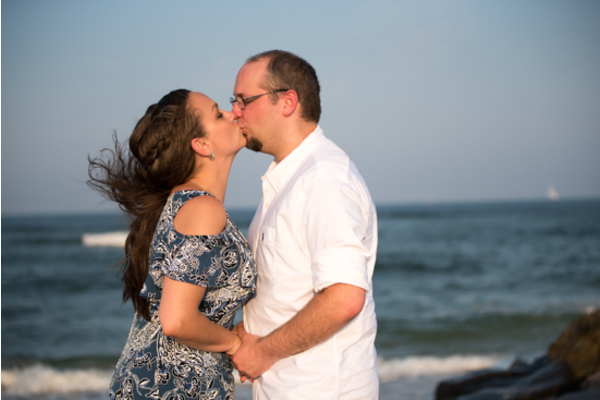 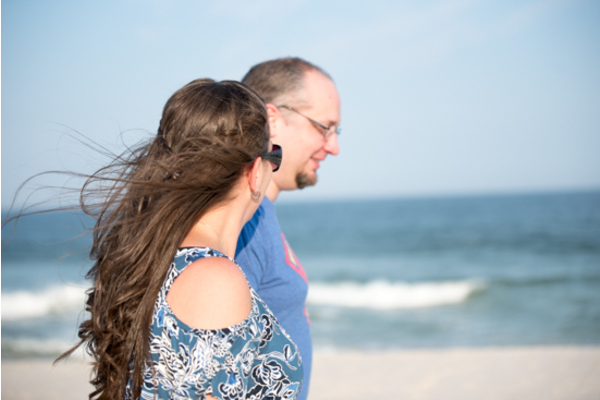 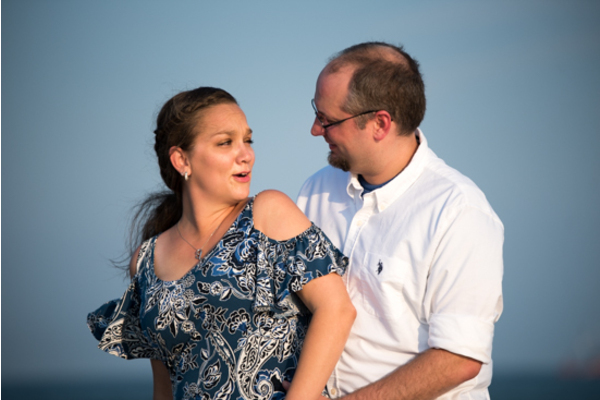 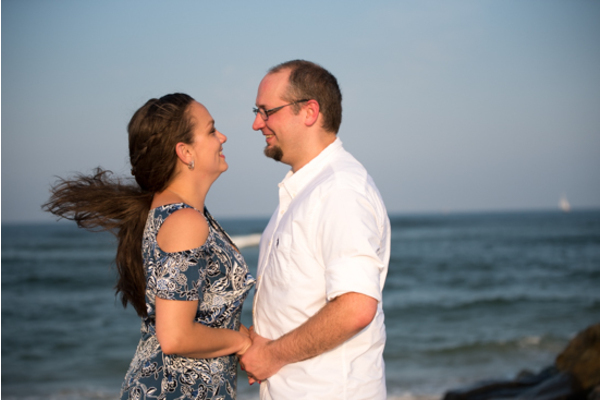 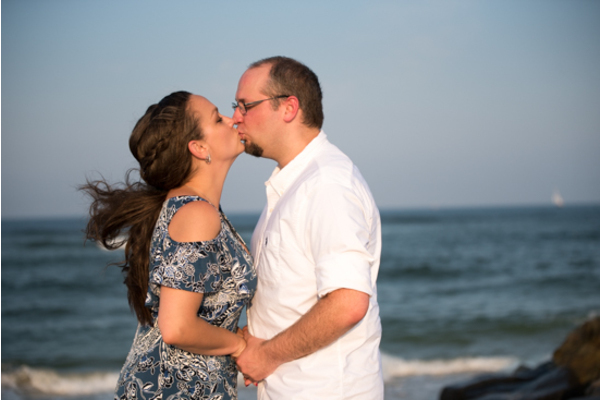 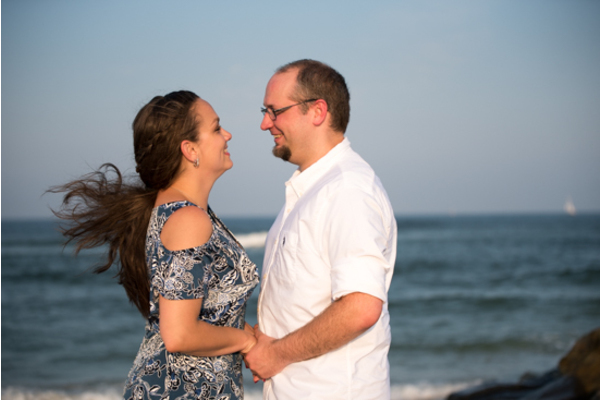 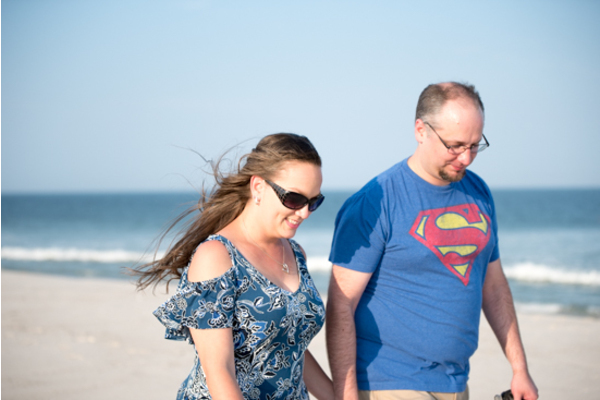 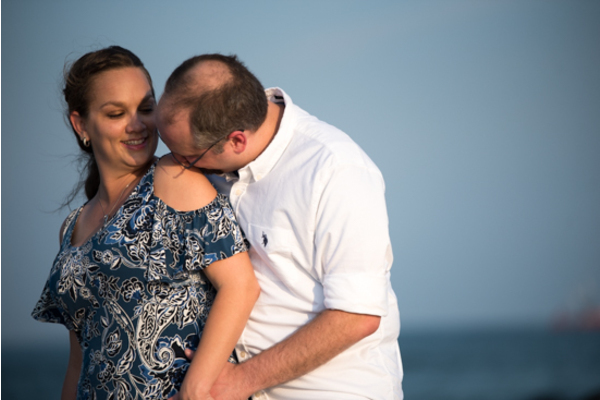 The sun was shining and the waves were crashing as the incredible couple shared many smiles and kisses on the beach! 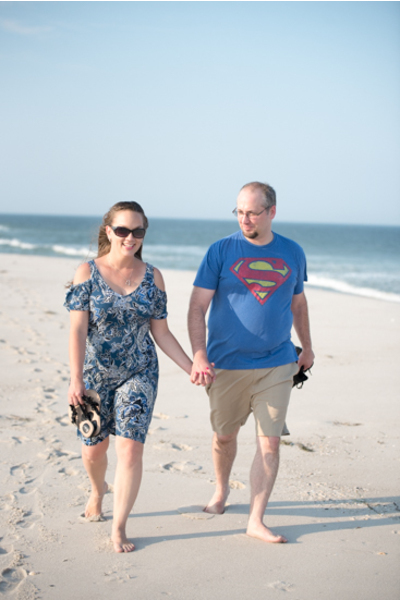 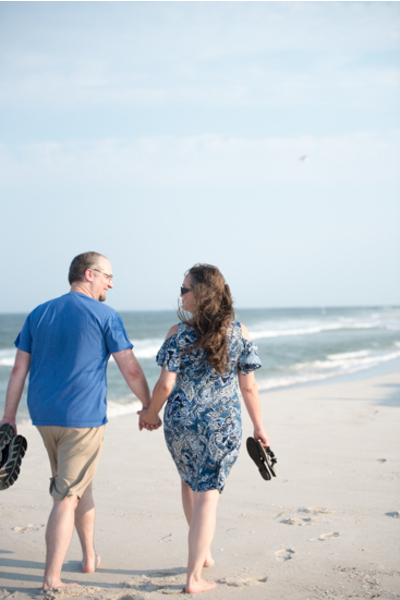 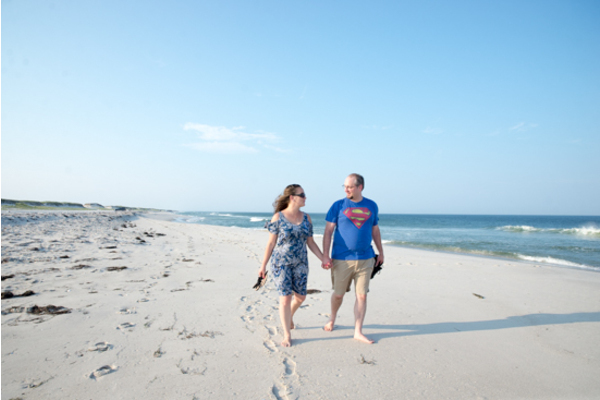 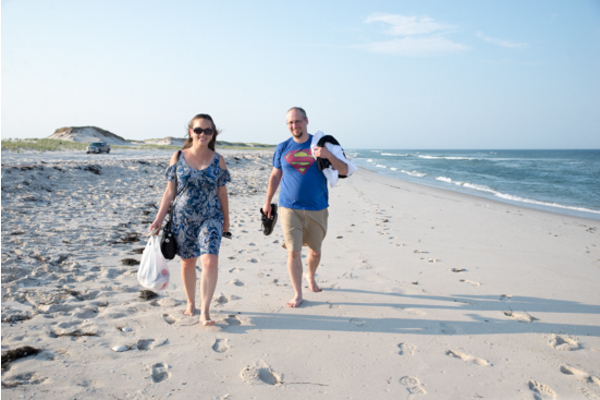 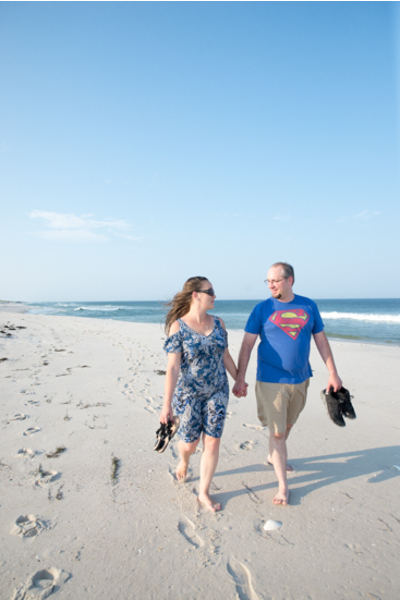 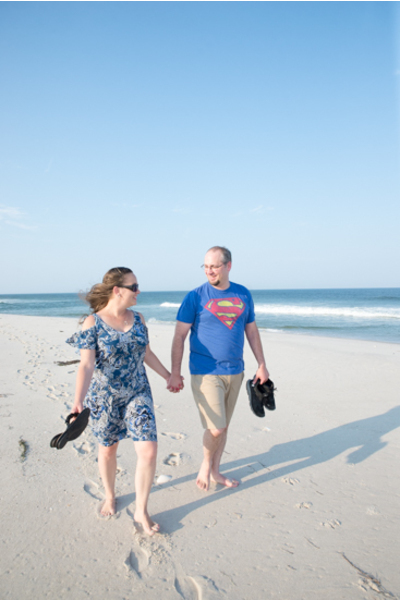 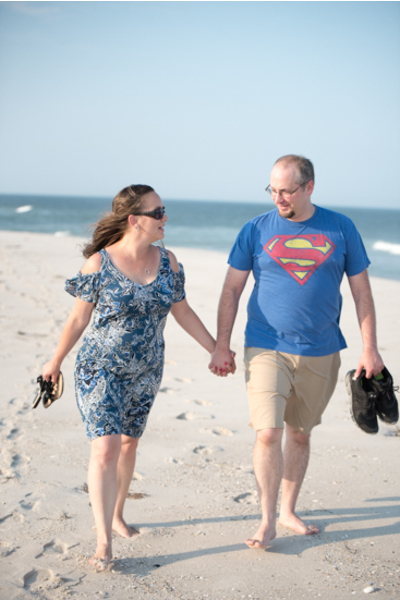 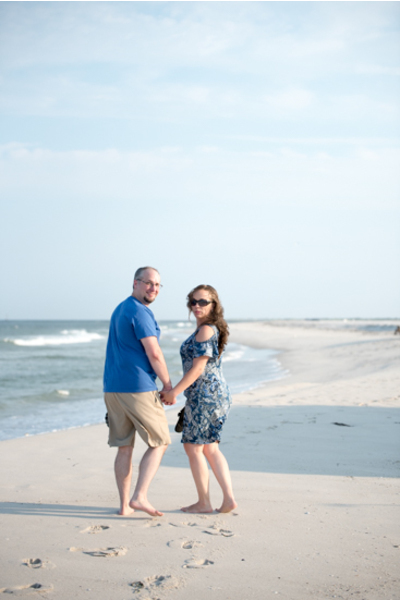 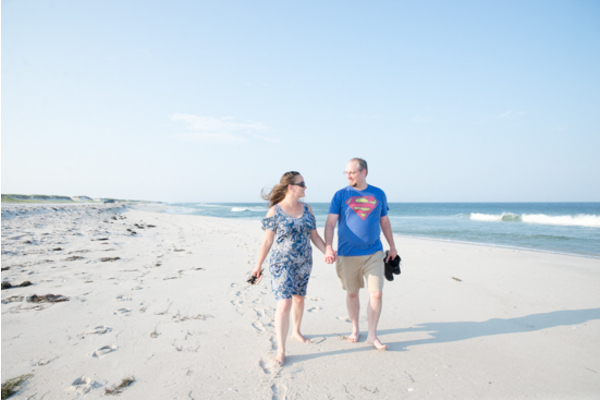 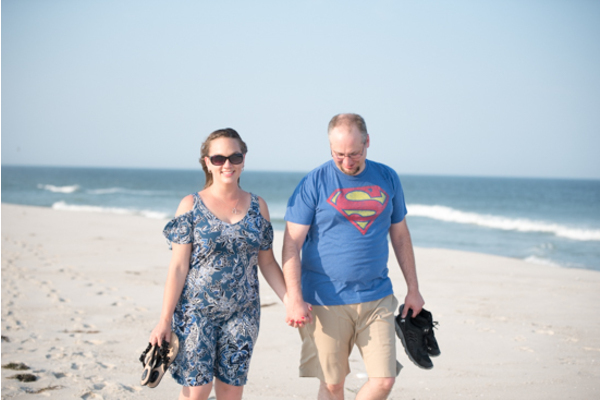 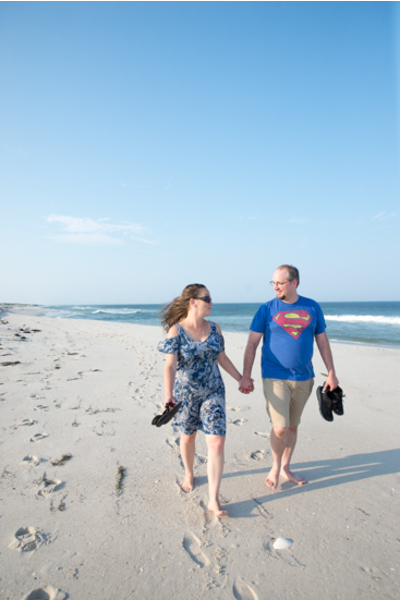 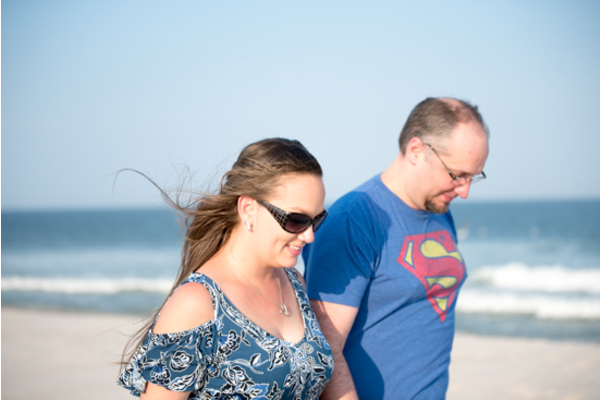 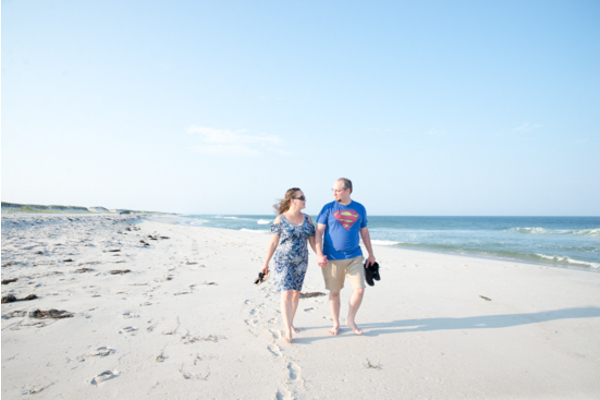 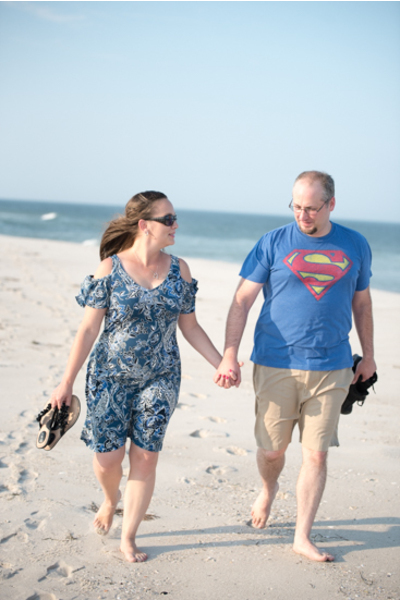 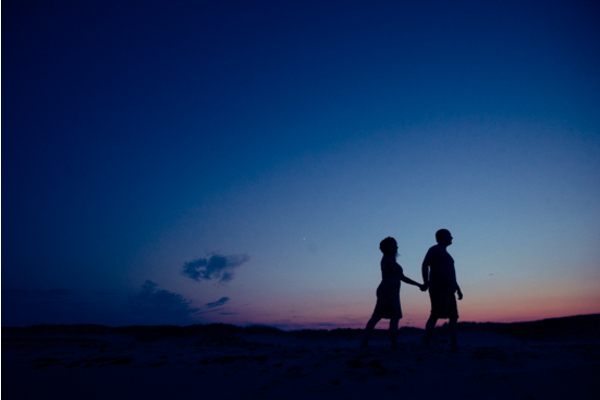 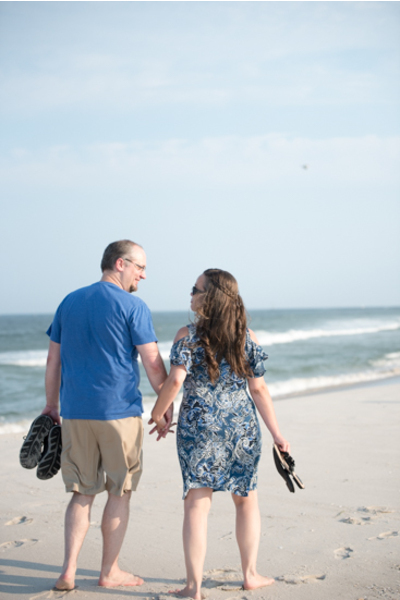 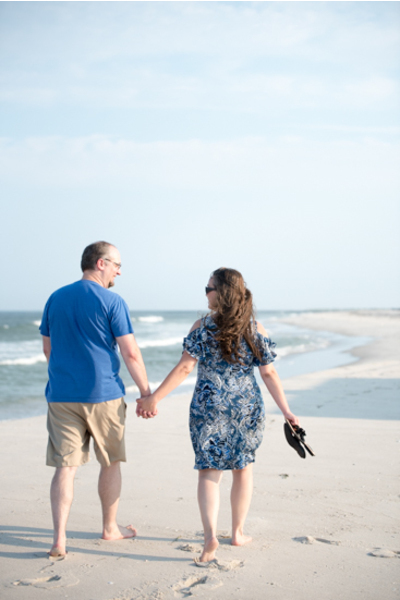 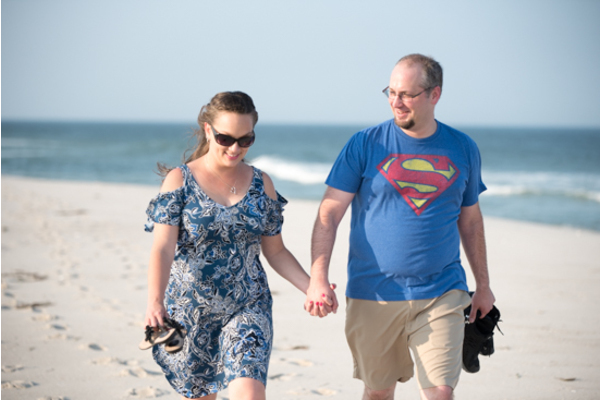 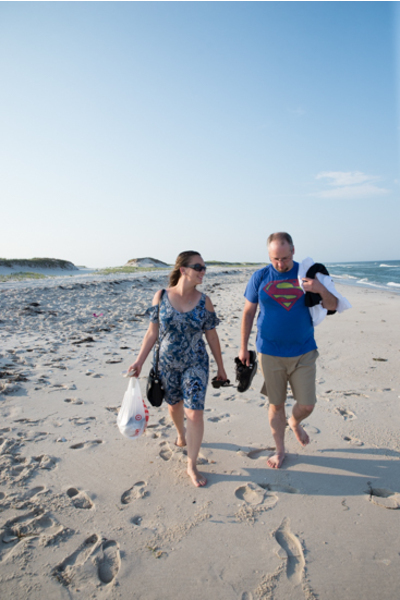 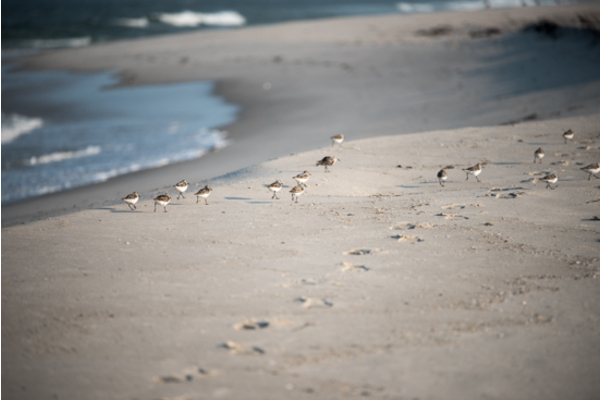 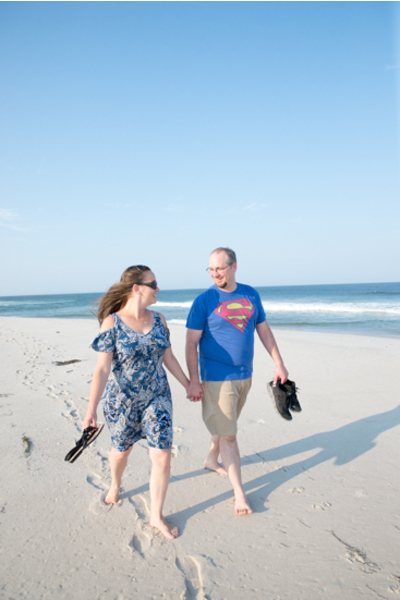 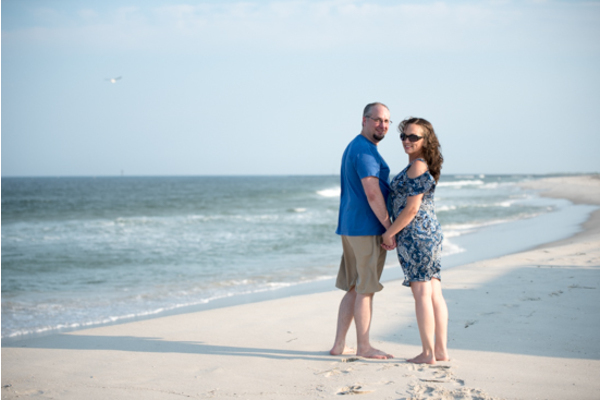 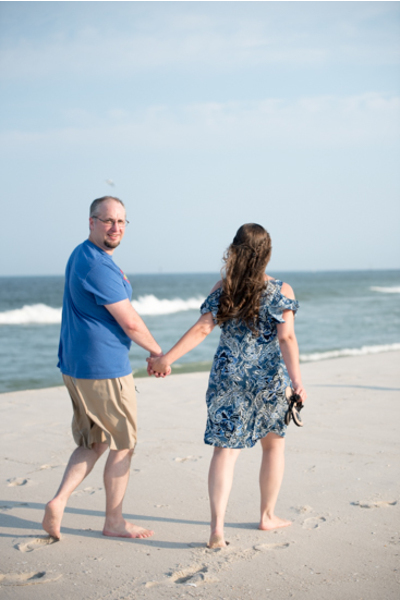 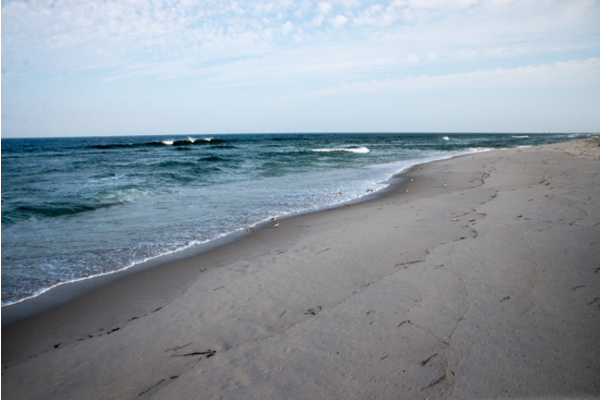 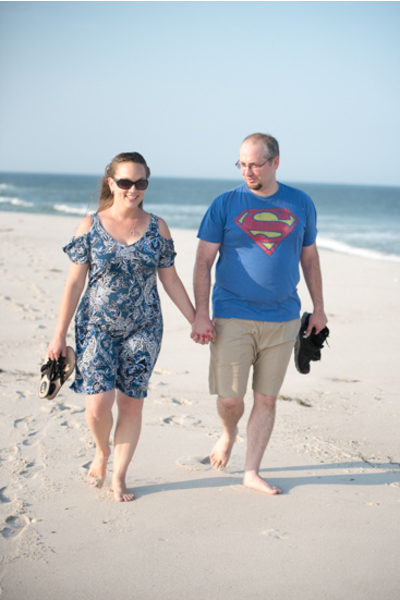 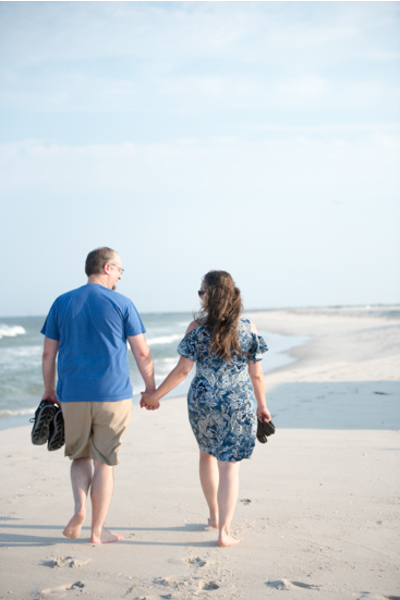 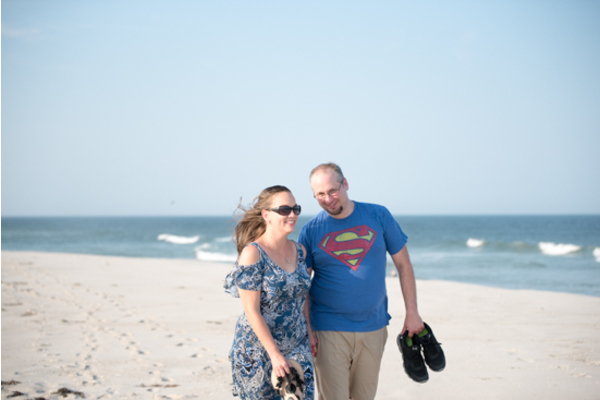 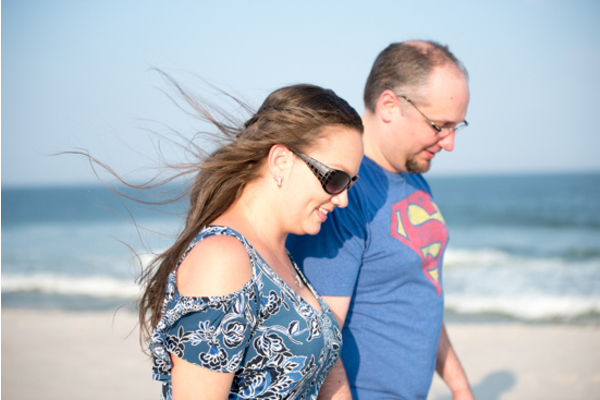 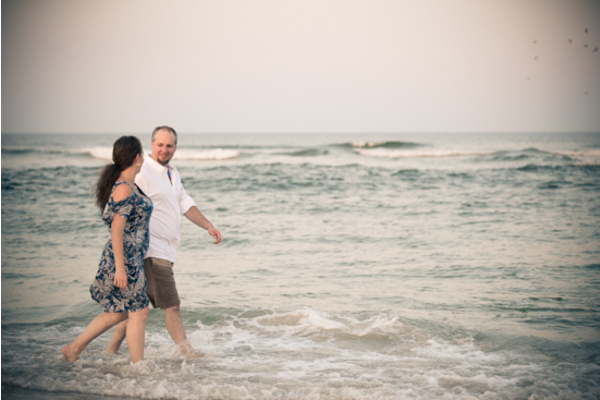 Immediately, Paula and Robert began their day strolling down the seashore. 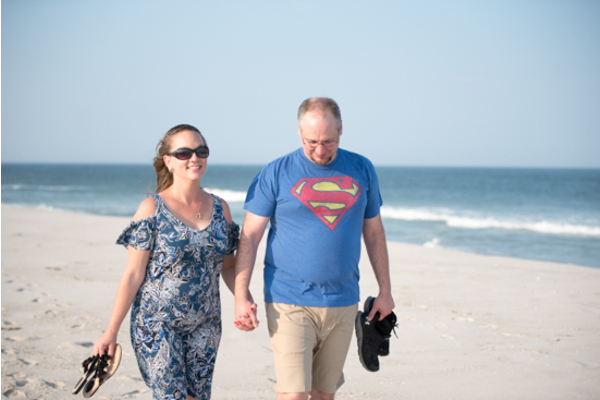 Paula wore a blue floral dress as Tom dressed in a Superman t-shirt! 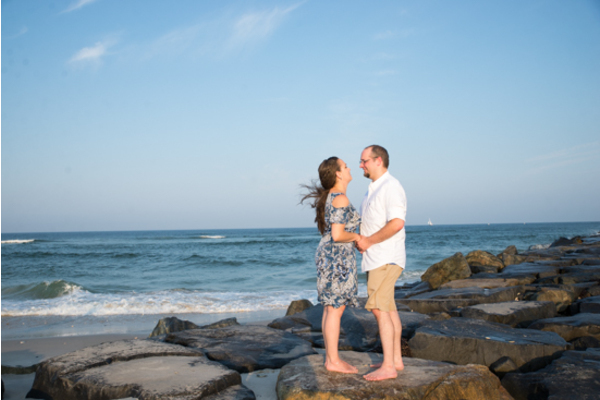 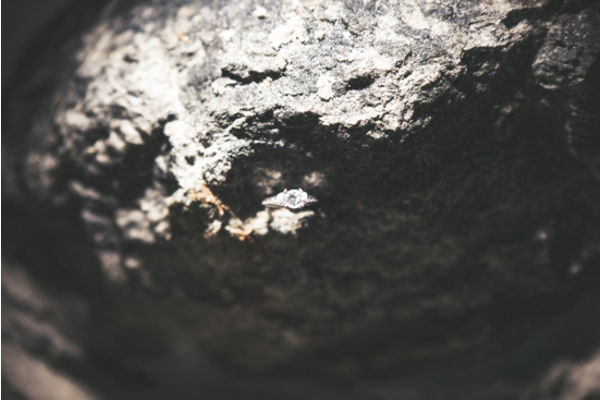 Of course, our NJ Wedding Photographer was sure to catch these unforgettable and picturesque moments! 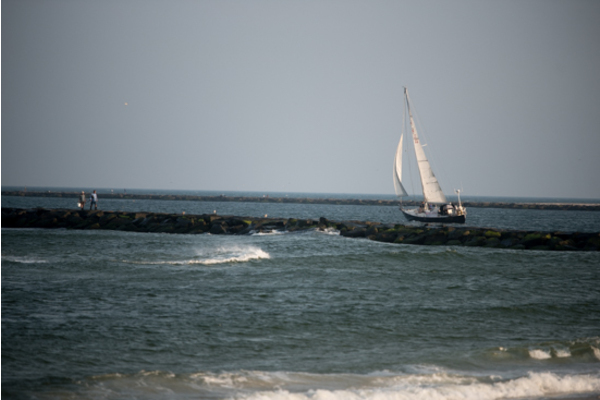 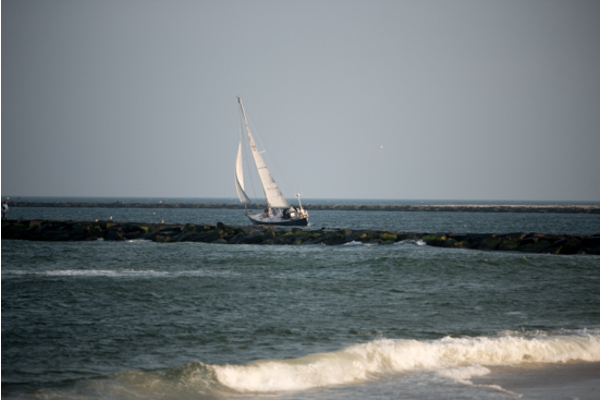 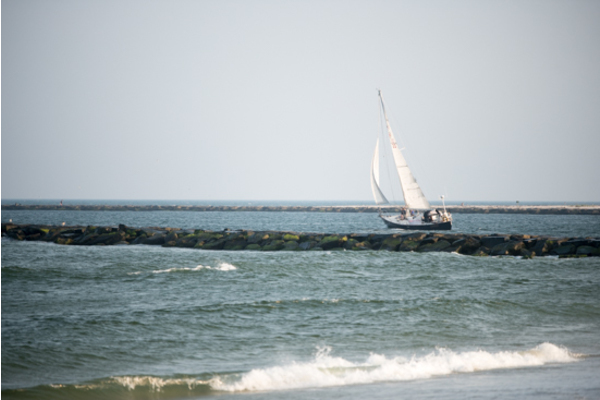 After a quick outfit change, they headed to the jetty to get some adorable pictures on the rocks. 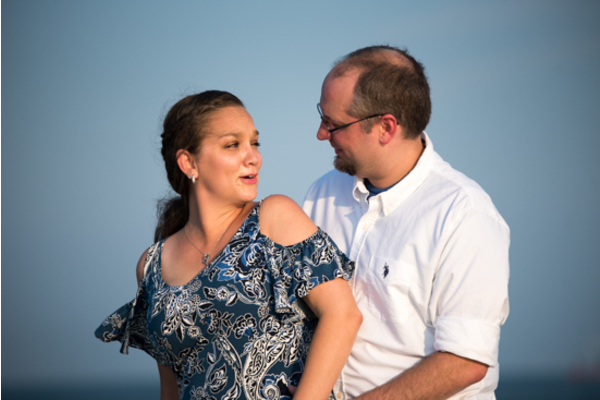 From the way Robert looked at Paula, you could tell how in love they are! 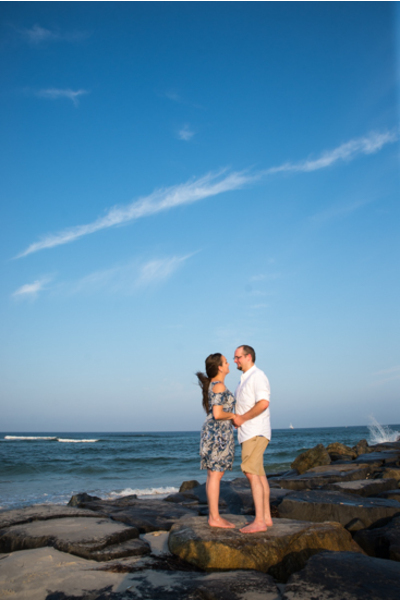 The clear blue sky and ocean made for the perfect photo backdrop! 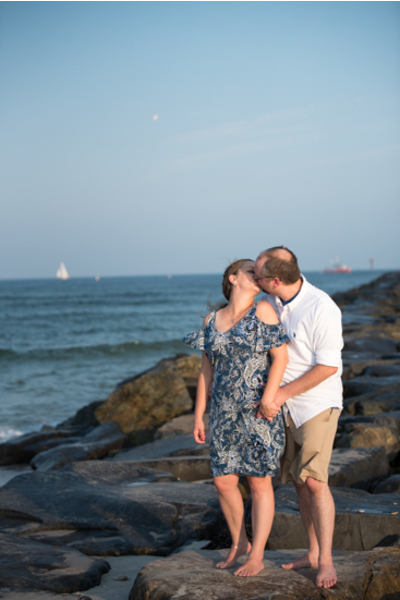 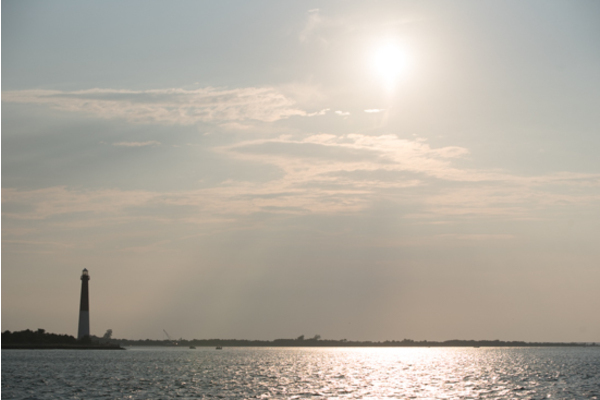 Later on, our NJ Wedding Photographer captured these lovebirds as the sky was changing to colorful hues from the sunset. 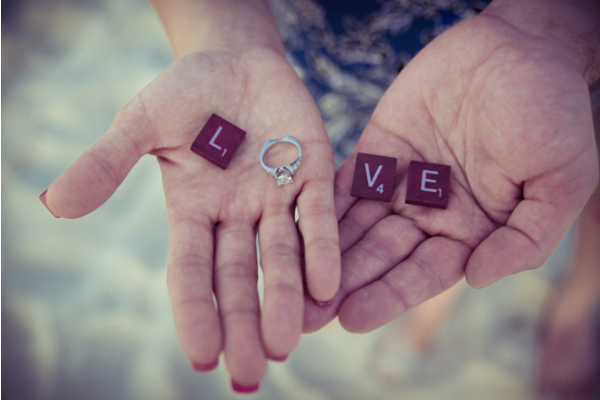 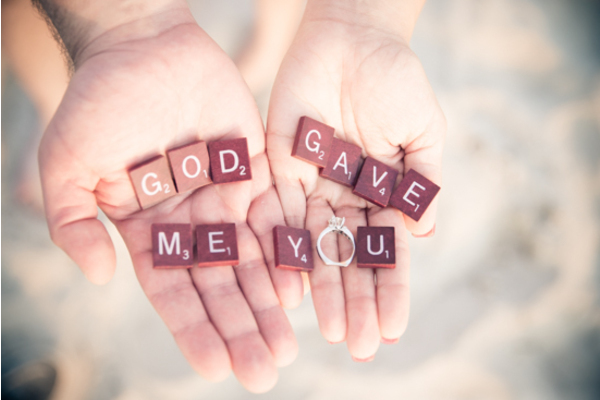 Lastly, Paula held scrabble pieces in her palms spelling out “LOVE” and “God Gave Me You” for the camera to see! 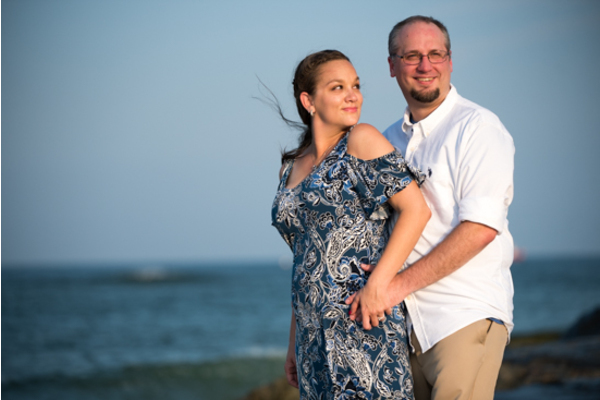 Congratulations, again, to Paula and Robert! 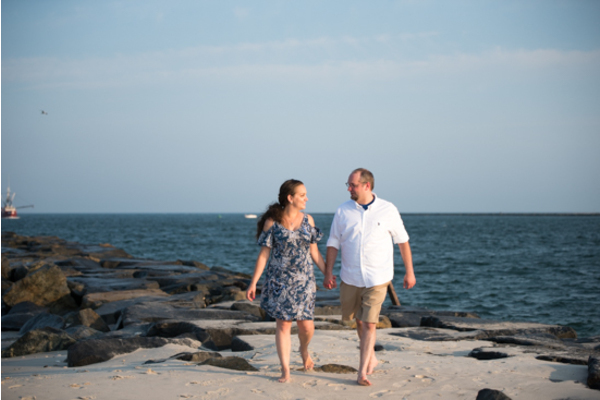 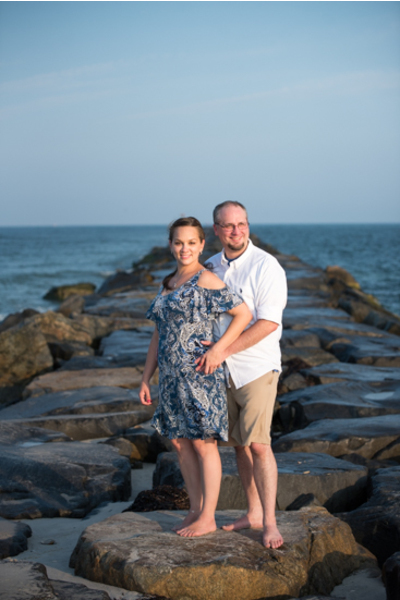 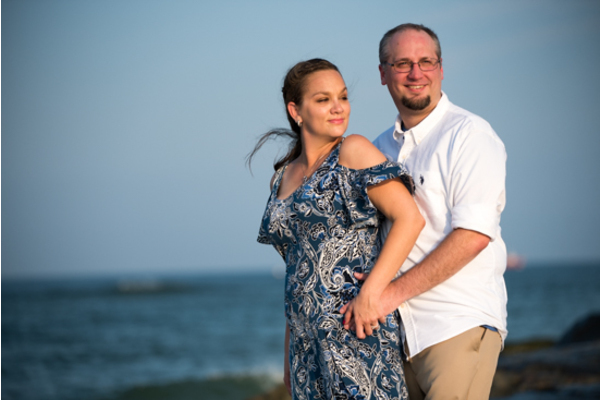 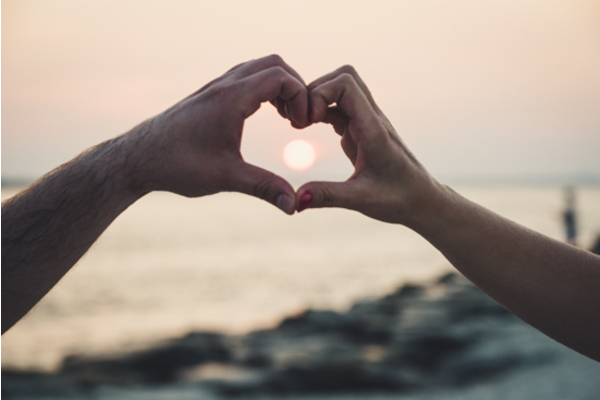 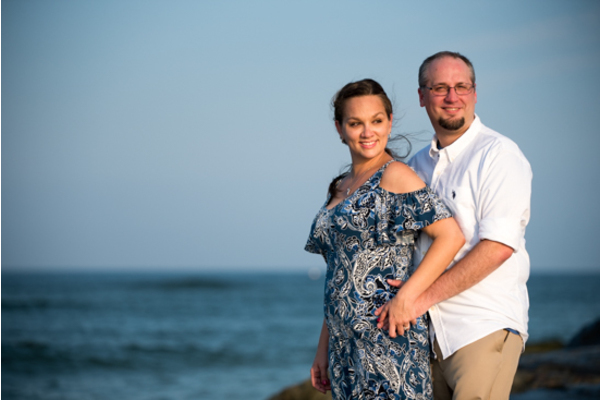 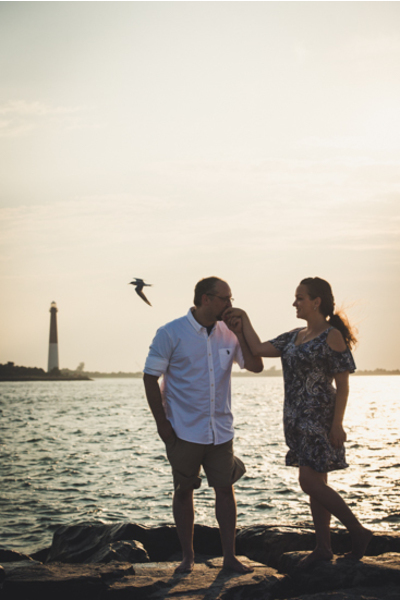 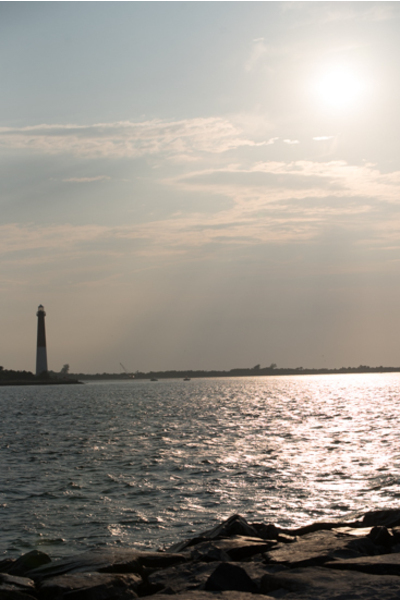 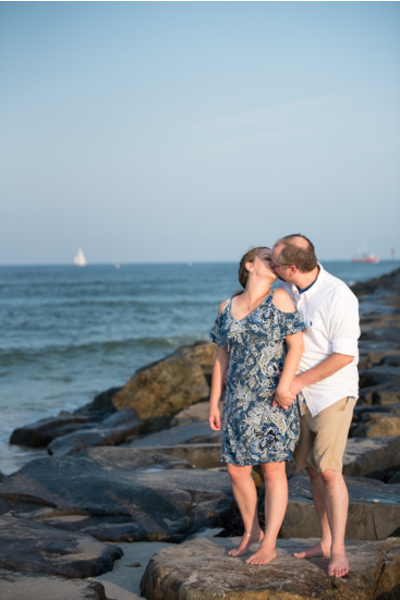 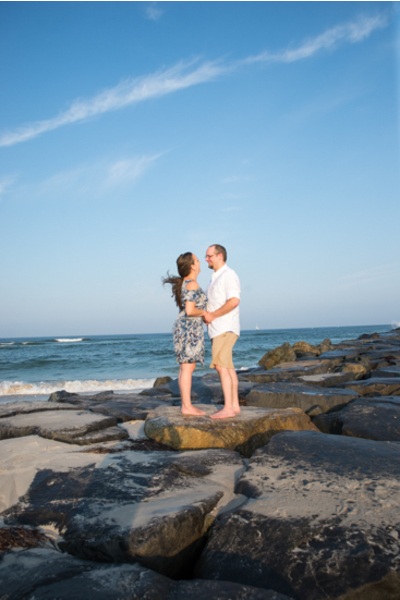 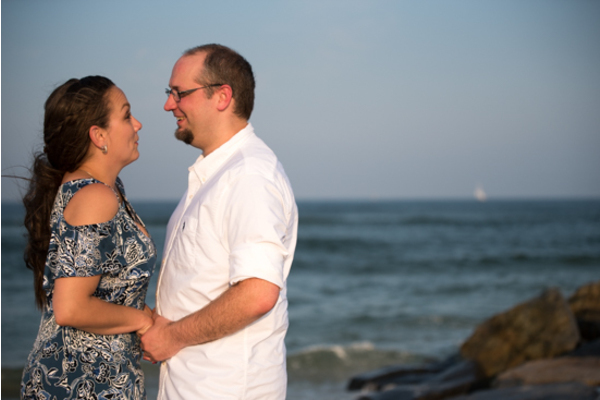 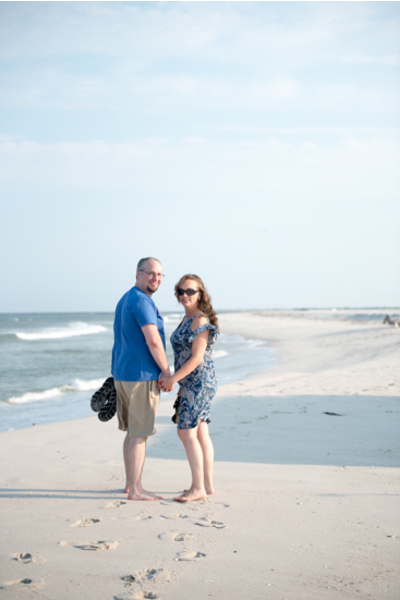 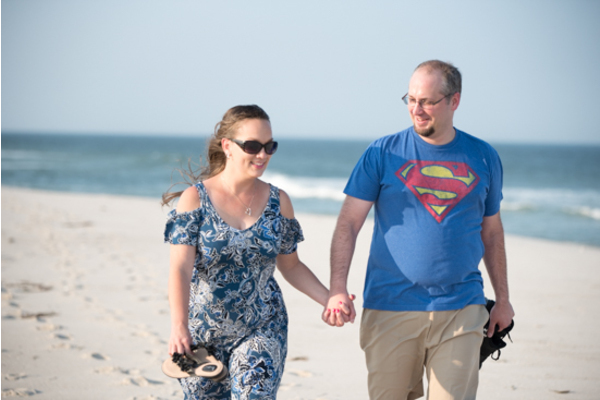 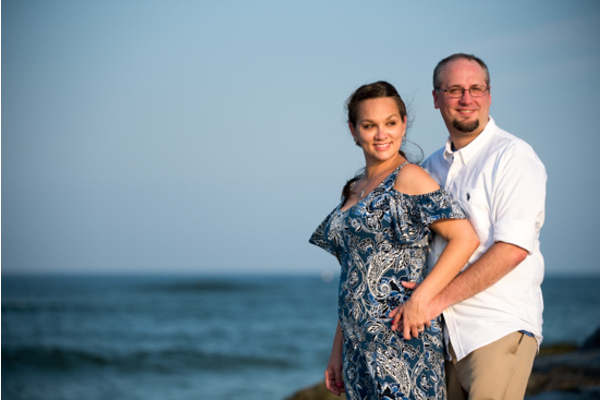 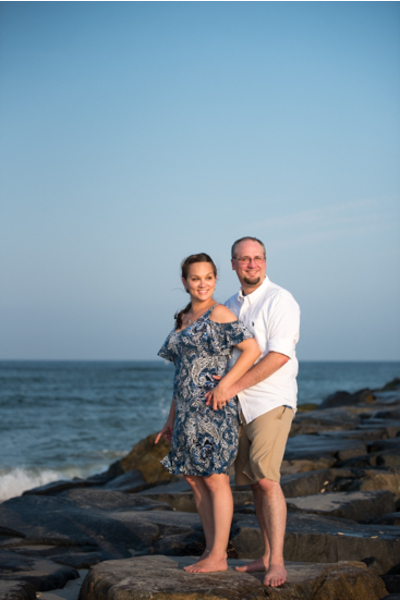 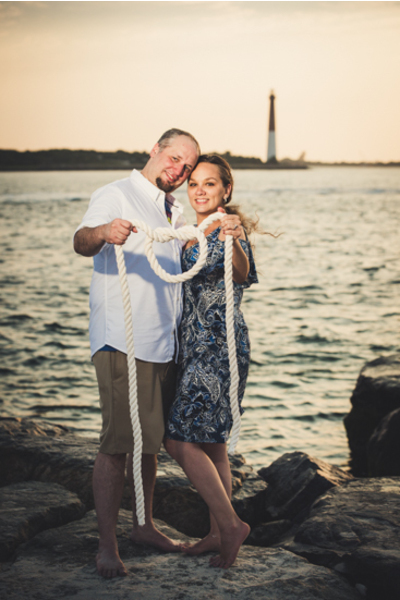 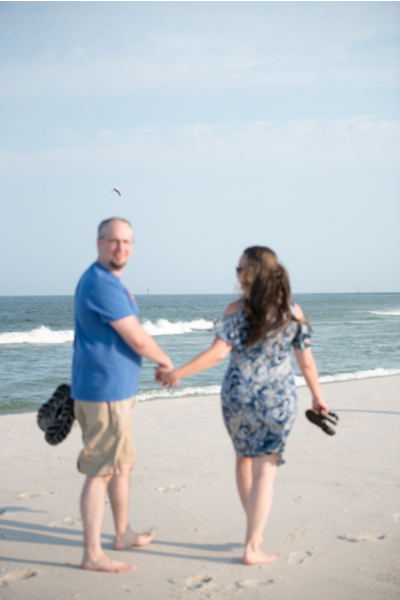 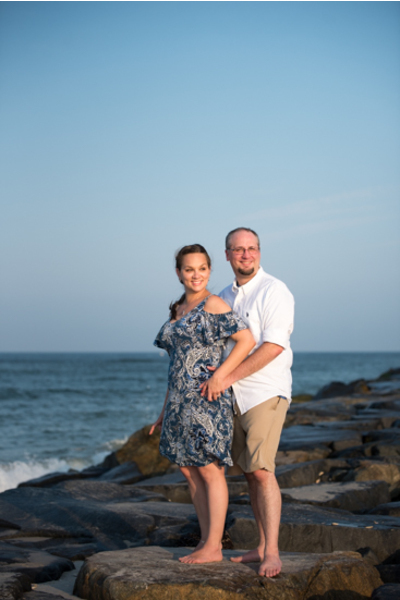 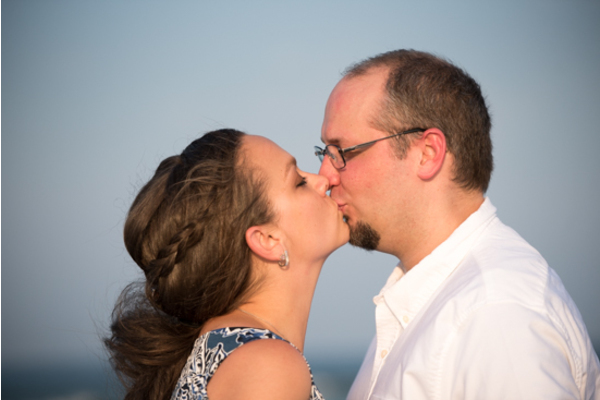 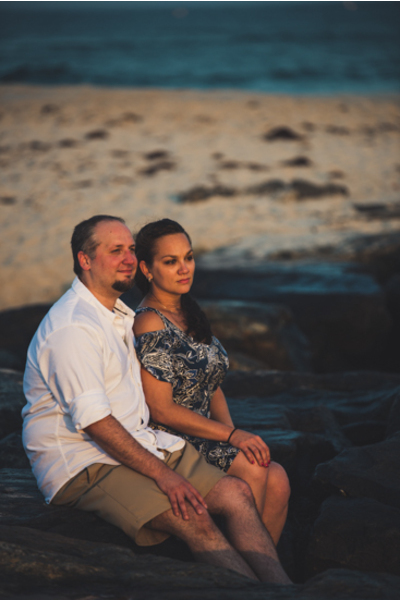 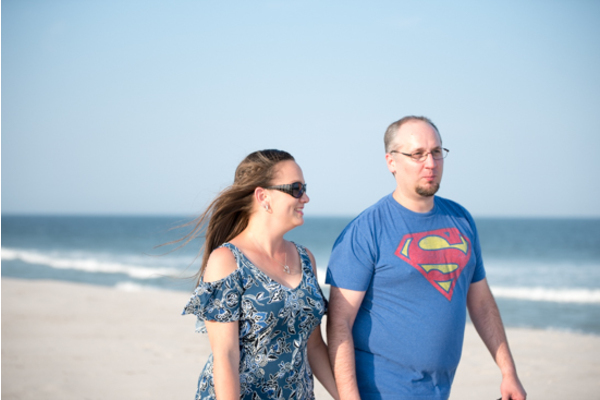 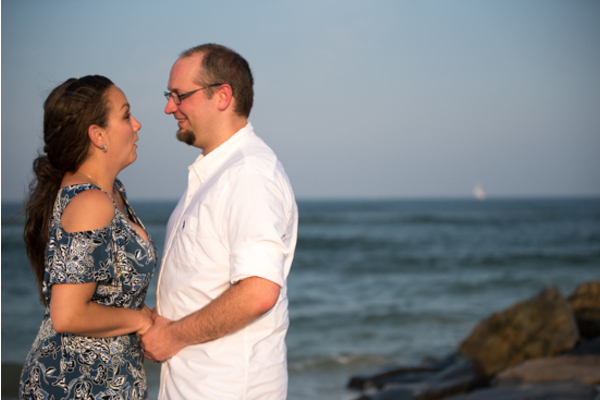 Our NJ Wedding Photographer can’t wait to be apart of your journey for the wedding.